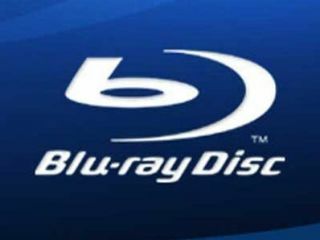 Blu-ray may have not had the dominance in the home entertainment market the world was expecting, but it does look as if the HD discs are starting to gain in popularity. New stats from the BVA (the British Video Association, not the British Veterinary Association as that would be silly) have revealed that BD sales this year have completely out classed what went on in 2009. So far, in 2010, there have been 2.7 million Blu-ray discs sold – a whopping 50 per cent increase from the same period last year. This means that there have been 15.6 million discs sold since the formats launch. The BVA is obviously very excited by this, with marketing manager Hannah Conduct noting: "While it is fantastic to see such strong growth in market volumes in the run up to Easter, the performance of Blu-ray is especially impressive." "Growing sales show that the benefits of the format – higher picture quality, superior sound, and an ever-expanding range of titles – are better understood than ever before. The strong sales reflect consumer confidence in Blu-ray." The price of Blu-ray discs is still at a premium but those savvy enough to look for a bargain can certainly find cheaper discs around. It's definitely not on a par price-wise with DVDs but if consumers keep splurging on Blu-rays the way they seem to be at the moment, then prices will soon slide. Couple this with the soon to be released 3D Blu-ray format and things are looking very rosy indeed.